Dacia Sandero Stepway Performance, Engine, Ride, Handling | What Car? There's a choice of two engines: a 0.9-litre petrol and a 1.5-litre diesel. The 0.9 has more than enough power for town use, even if you wouldn’t describe it as fast. The power delivery is smooth but quite flat, and while it will manage motorway trips it does need to be worked quite hard in the process. The diesel unit has enough power and torque to feel at home wherever you take it, pulling strongly from low revs in any gear. However, it is the more expensive option. There's nothing particularly sophisticated about the way the Sandero rides but, thanks to a raised ride height, the Stepway model is marginally more comfortable. It has fairly soft suspension, so manages to smother most bumps pretty well, and even potholes don't send particularly nasty jolts through the car. However, too much of the road surface is channelled up through the steering column, meaning you feel vibration through your fingertips, and the suspension isn't very well controlled over dips and crests. The rival Ford Ka+ feels much better and more connected to the road. 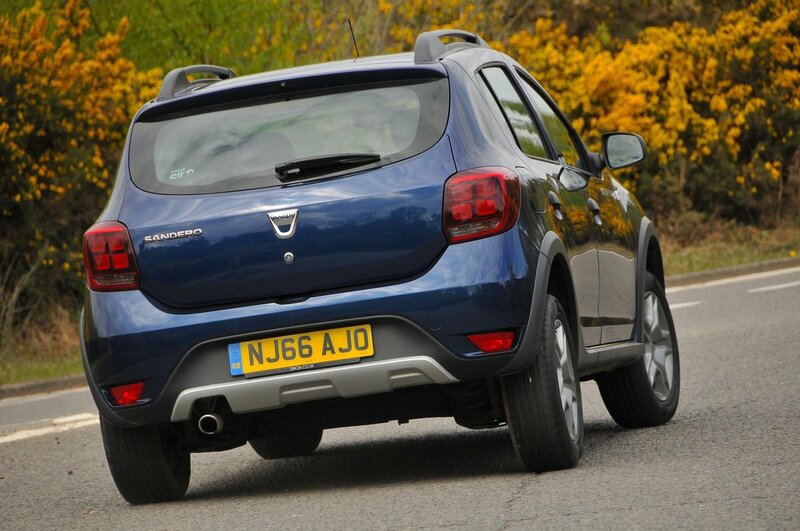 Compared with rivals such as the Ka+, the Sandero Stepway isn’t particularly sharp or entertaining to drive. There's a pronounced amount of body roll in tight corners and the car doesn't feel particularly eager to change direction. The steering is fairly slow, but it's at least accurate and weights up consistently as you turn in to bends. Small cars don’t have to be the last word in dynamic poise, so the fact that the Sandero Stepway doesn’t get your pulse racing isn’t the end of the world. More important is the fact that its handling is secure and predictable. 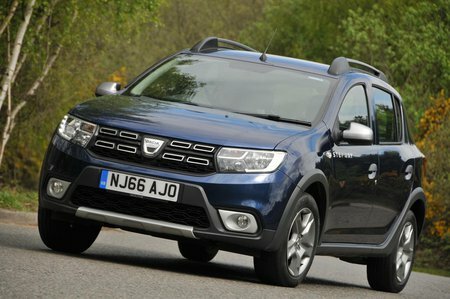 The Sandero Stepway delivers precisely the level of refinement you would expect of a car this cheap – that is to say, not very much. All versions suffer from lots of engine noise. A notchy gearchange also disappoints, and both wind and road noise become intrusive at higher speeds.